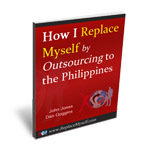 ReplaceMyself is designed to make your outsourcing experience as easy and efficient as possible. We teach you how to outsource for free. Learn this on the outsourcing webinar. The paid part of ReplaceMyself is training to give to your Filipino, so you don't have to create training for them. Enter your name and email to get access to the full 90-minute presentation where you'll learn everything you need to get started outsourcing to the Philippines. I hate spam too. I won't spam you and won't sell or rent your info to other people. Before you ever pay for anything, we want to make sure you know exactly what's going on. We want you to know what you're doing. We want you to know how to hire people. We want you to feel confident in your ability to succeed. The members area is actually 3 different pieces. As a member you get Free Access to OnlineJobs.ph. free access to the project management system I use to manage people. Once you've hired someone, you have to train them. You can spend hours and hours creating training, or you can let us do it. You'll get access to our training modules which you can give to the people you hire. 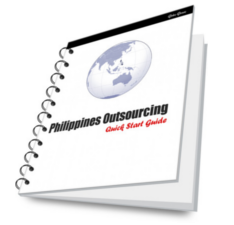 Let us train your Filipino employees for you! 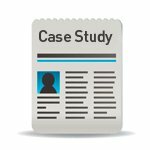 The ReplaceMyself membership program is designed to give you less work to do, NOT MORE! We've done everything we can to make it easy, hassle-free, and painless for you to get someone else to do your work for you!